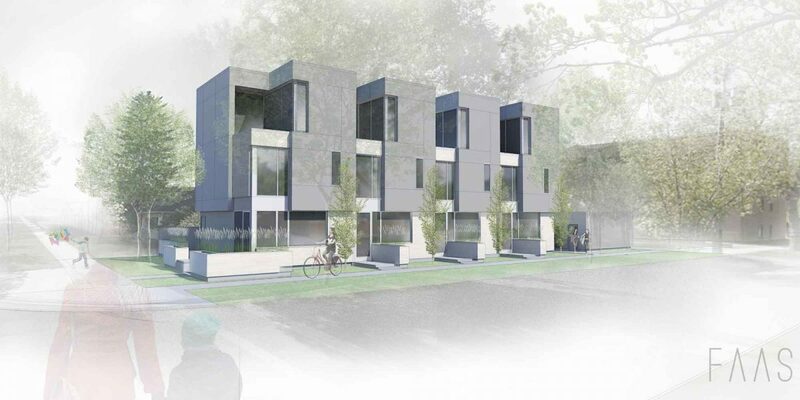 A picturesque development for modern urban living. 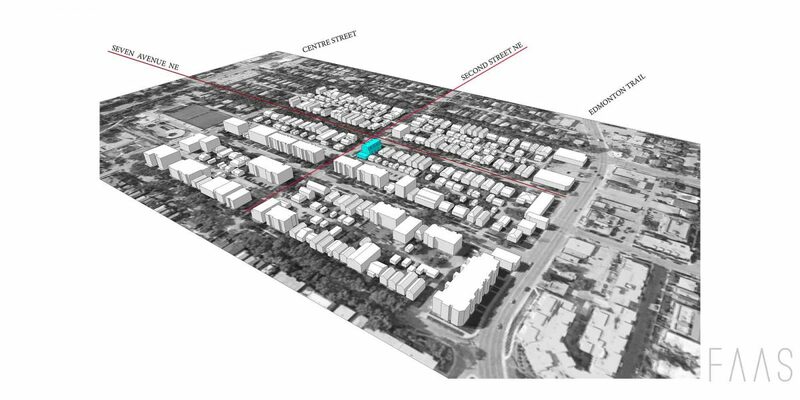 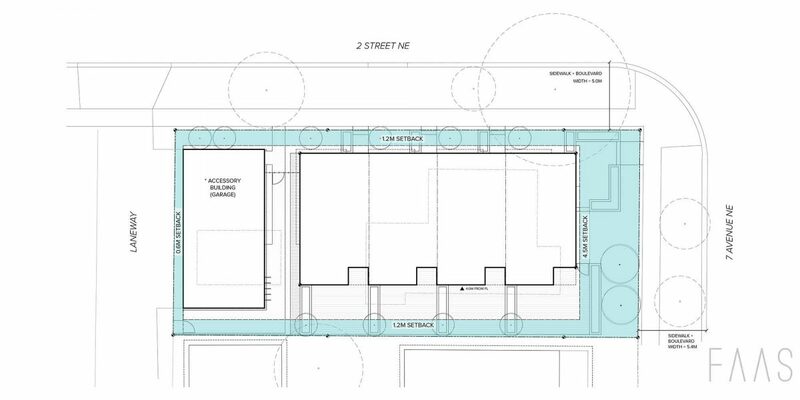 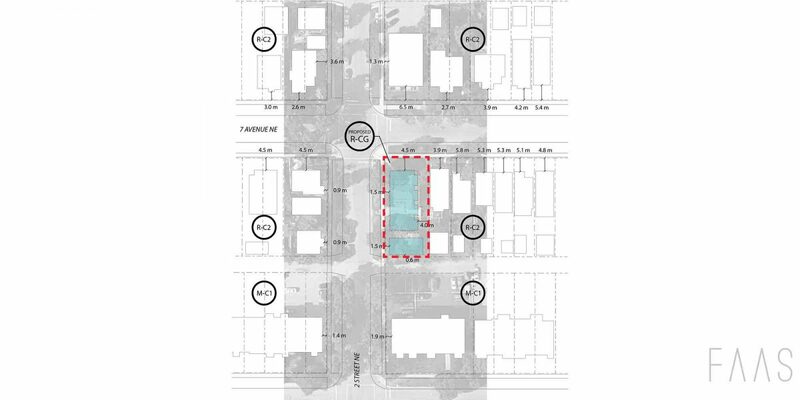 The proposed Crescent Heights Rowhome is an inner city development sited at the transition point between an avenue of multifamily buildings and single detached dwellings. 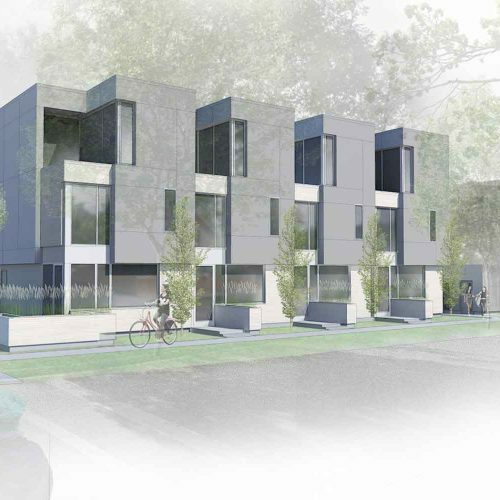 The four unit rowhomes provide a new layer of housing stock to the community, simultaneously integrating within the existing context and projecting towards future development in Crescent Heights.